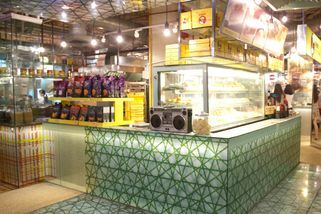 K8 LG Floor, Lot 10 Shopping Centre, 50250 Kuala Lumpur. Part of the Mr Siew Bao chain. From Berjaya Times Square, head down to Jalan Raja Chulan. Turn right when you reach the first traffic light after Times Square. Drive straight and you will see Lot 10 on your right. 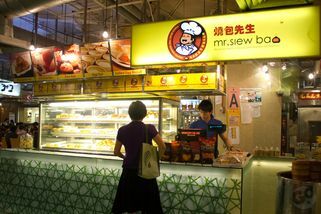 If you have a hankering for simple traditional local puffs with fillings so tasty, you would melt, head down to Mr Siew Bao. 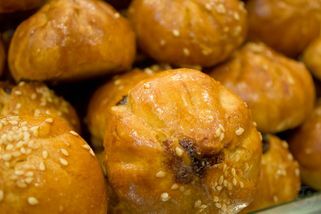 Boasting their signature trademark Siew Bao (crispy and round Chinese puff), the adorable and cosy bakery offers all sorts of local puffs and buns, from Cheese Chicken Siew Bao to Curry Siew Bao and Mushroom Vegetarian Siew Bao, to name but a handful of their voluminous selection. Fans of tea-time snacks will no longer have a reason to complain about being bored. Even better, thanks to the warm reception from their avid fans, Mr Siew Bao has opened up all over the Klang Valley to serve their customers better. You can find their outlets at Sunway Pyramid, Empire Shopping Gallery, Plaza Mont Kiara, Lot 10, Southgate Chan Sow Lin and Sri Petaling. 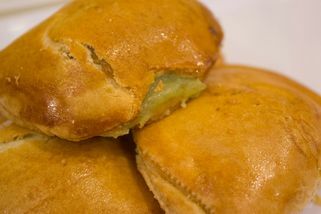 "Dunk on the siew pao and egg tarts"
If you feel like egg tarts or siew pao, then this is the place to go. 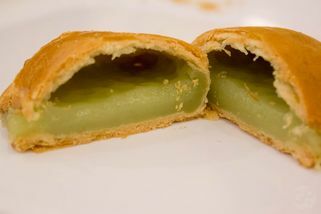 The normal siew pao is the flaky crust kind, and it doesn't lose the crunch even after a half a day. Very good value also. 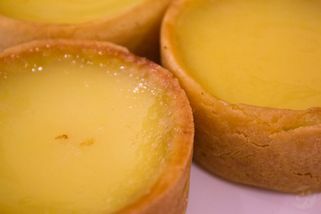 All my friends love the egg tart, and I would buy it too if they reduced the sugar a bit. They have many flavours but some are weird. 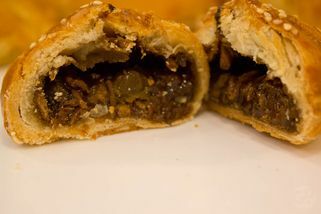 The mushroom siew pao is the one I would avoid.